Hansen Green presents their Solar PEST Controllers series, with photosensitive solar panels, maintenance free lead acid and Ni-MH battery. The Solar PEST Controllers releases no chemicals and utilises sunlight by transforming it to electricity and storing it for later use. The Solar PEST Controllers uses wavelengths, variational light and light resonance principles to assist in eliminating pests in accordance to their phototaxis and nocturnal habits. These wavelengths can attract pests from 10 to 30 acres. The light frequency and wave frequency causes the pests to become dizzy in a period of time. These causes the pests to become dizzy and are eliminated by falling into Solar PEST Controllers’ water container. Environmentally friendly – Uses solar energy, reduces soil damage with no wiring required. Wide covering area – Can cover an area of 10 – 30 acres. It can cut off the siropodium of pests. 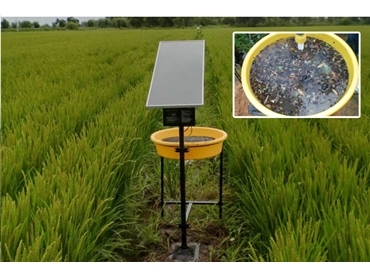 Multifunctionality – Can be used in monitoring pests. For more information on the Solar PEST Controllers Series, visit the Hansen Green website.